There is nothing subtle about Texas. There is a reason why we use the term “Texas-sized” to describe anything in life that’s exaggeratedly large, from posteriors, to bong hits, to jugs of beer. This boldness, naturally, extends to the Lone Star’s musical exports, loud n’ proud legendary artists like ZZ Top, Pantera, and Stevie Ray Vaughan, among many others. Now, firmly in that cocksure lineage, is a mighty bluesy metal band from McAllen, Texas aptly named, Sons Of Texas. The young quintet’s debut, Baptized In The Rio Grande—produced by the iconic Josh Wilbur (Lamb Of God, Crowbar, Chiodos, Hatebreed)—is a Texas-sized portion of power metal grooves, dazzling guitar solos, strip joint/tailgate sing-along choruses, and soulfully charred vocal melodies. It took Wilbur 20 seconds of a YouTube clip to recognize this young band truly inherited the gonads of its Lone Star forefathers and sign on to work with the quintet. Sons Of Texas was spawned in McAllen, Texas, a valley town without the music legacy of Austin or Arlington. The scene vibes “music for music’s sake” with metalcore bands, blues-rock bands, and straight up rock n’ roll bands swapping members and sharing bills. Sons Of Texas solidified in 2013 around a lineup of local all stars. 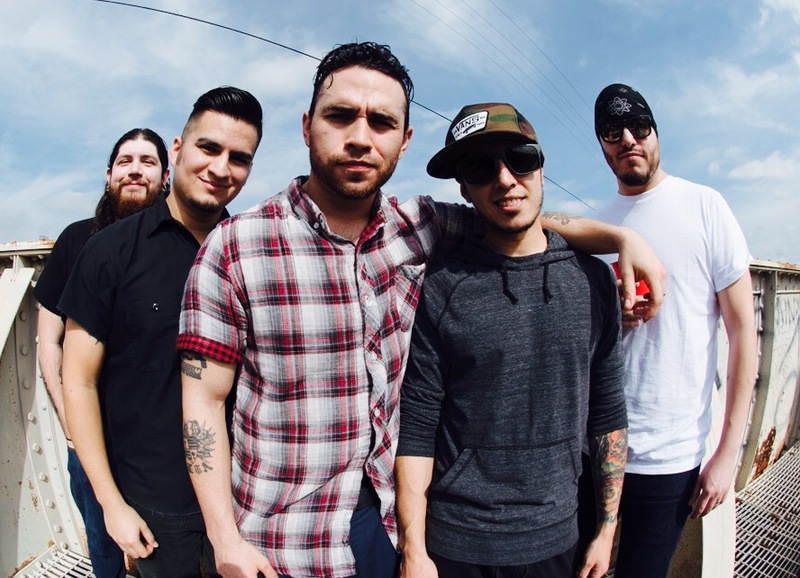 The group is Mark Morales, vocals, Mike Villarreal, drums, Nick Villarreal, bass, Jon Olivarez, rhythm guitar, and Jes De Hoyos, lead guitar. Despite being just in their mid 20s, never having recorded an album, and having only existed for about a year, the guys play with seasoned authenticity and fiery brilliance. The guitar duo of Jon Olivarez and Jes De Hoyos boastthat classic rhythm and lead division of labor of Metallica’s Hetfield and Hammett, Testament’s Alex Sklonick and Eric Peterson, and Megadeth’s Dave Mustaine and Marty Friedman. Sons Of Texas has that rare gift of having a rhythm section of brothers—Nick and Mike Villarreal—so the grooves are telepathic and deeply in the pocket. And vocalist Mark Morales has a blood raw expressiveness evoking Phil Anselmo, Chris Cornell, and Zakk Wylde. Baptized In The Rio Grande is an album for raising hell and enduring hard times. The record spans good old bad boy anthems like “Texas Trim” and “Baptized In The Rio Grande,” the stately ballad territory of the haunting “September,” and the dead end job-frustration of “Pull It And Fire.” The standout “Blameshift” showcases the guys have modern rock radio potential without sacrificing heft for hooks.